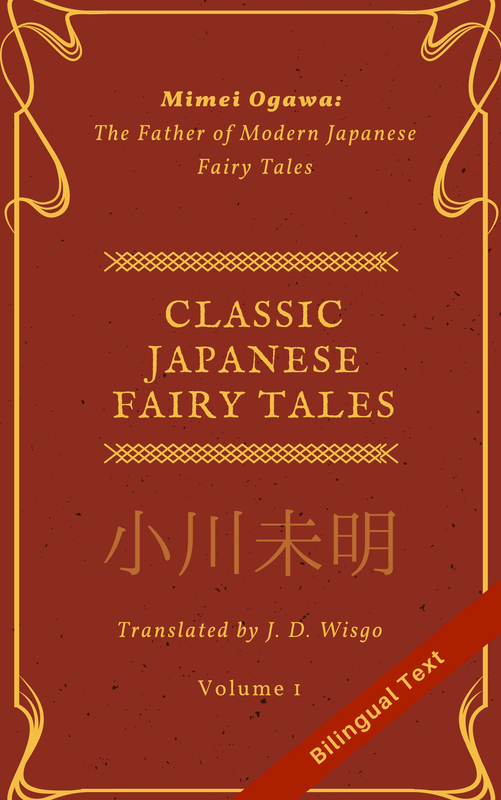 My last translation project involved a classic story which was several decades old, but this time I decided to try and tackle something a little more modern from one of my favorite genres. It’s a science fiction novel I found published on the site syosetu.com. I haven’t read the entire thing yet, but from what I’ve seen it’s much more up my alley that many of the other stories there. I contacted the author and got permission from him to translate the story and put it on my blog, and he even assisted with reviewing what I’ve done in this first chapter. The summary below is partially based off his original summary, with some modifications of my own (also reviewed by him). Because of the unadorned, realistic style, translating this chapter was quite different than many of my other projects. In some ways it felt like I was doing a job on Gengo. Because of that, I focused a little less on getting the perfect wording, and more on making sure to get the overall point across. I think the hardboiled, no-nonsense style of this story is one of the reasons I like it so much. As usual, whether I translate successive chapters will depend in part on feedback, so please like or comment on this post if you enjoyed the story so far, or think it has potential. You can see the original in Japanese here, available free in its entirety. The original first chapter is here. You can see the table of contents for this here which includes other chapters. Note: You are welcome to link to this story, but please do not cut and paste the content. If I find any sites that have done this I will kindly request that you directly link to me or remove it from your database. A super genius in the form of a young boy appears in modern day Japan. With his help, cold fusion along with ultra-efficient batteries and motors become a reality, ending dependence on fossil fuels. As a result, Japan’s industries and its society itself goes through a monumental revolution. He goes on to help solve problems including the prediction and prevention of earthquakes and the cleanup of radiation from disasters like the Fukushima Nuclear Accident. Furthermore, thanks to the invention of the gravity engine, Japan takes to space and begins exploring other planets. How will Earth’s expansion into the galaxy unfold? This novel tells a tale which harkens back to the Golden Age of Science Fiction (1940s-50s) from a uniquely realistic point of view by leveraging modern day science. As Makimura scrolled through the file he had received, what began as suspicion quickly turned to fascination. Once he finally understood what it was, he stared dumbfounded at the conclusion on its final page–a single equation. The Word document on his laptop’s screen, a little under five pages, had been emailed to the address associated with his research lab’s website. It appeared to be a response to the research paper he had posted on the website two weeks ago, and despite its short length this new paper did a marvelous job of proving a groundbreaking result and even touched upon practical applications. He personally felt that the paper he had released would shed light on humanity’s understanding of matter and of the atom itself, even in his specialization of theoretical physics, and depending on how things developed it had the potential to kickstart a so-called energy revolution. However, at the present time his work was not well received by neither his mentor nor a handful of colleagues from the same field. Because of this, and his acknowledgement that his paper was not polished enough to be presented in academic conferences, on a whim he decided to post it on his website. If his theory was correct, it would help clarify the inner workings of atoms comprised of a variety of subatomic particles, and could lead to the discovery of a technique that allowed the extraction of energy via conversion of the constituent parts of an atom. However, it only indicated one possible line of research, and he had to admit that not only was it lacking in qualitative proof, but the ideas themselves were not fully formed. The email he received contained the below message with a file attached, and its sender was someone who had asked Makimura many questions over email on various technical topics during the last few years. Judging from the relatively high level of difficulty of these questions, Makimura thought this person was probably a graduate student. I’m sorry to inconvenience you with yet another email. Regarding the paper you published on your research website, ‘On the Possibilities of Operation and Atomic Structure of Hydrogen Atoms,’ I feel that you have hit upon a wonderful idea which has the potential for tremendously large practical applications. However, despite that fact that you are heading in the right direction, I believe that at present your theory is incomplete and have tried my best to develop it further and derive an additional result. I would appreciate very much if you can review what I have done. At age 33, Makimura was an associate professor of a national university (albeit a former imperial university) and had obtained his PhD at 28, so he was very confident about his academic abilities. Over time Makimura had received many questions from the sender of this email, Yoshikawa, and had replied each time, but Makimura’s correspondence of this type was not limited to him (or was it ‘her’? ); there were several others he had been in contact with. When Makimura had created a website for the research lab, he posted a simplified description of his research work in order to find more people who would be interested in what he was doing. Nonetheless, he couldn’t help getting excited over the conclusions of the research report written by this “Yoshikawa” fellow. It was, without a doubt, a direct extension of Makimura’s paper. However, it went beyond the result he had roughly described as the final goal of his original paper, and also provided qualitative proof and a clearly defined equation for the operational factor which Makimura had only assumed. It even set the stage for a quantitative approach. Of course, any practical applications would take a great deal of time to realize, but the act itself of providing theoretical backing, as well as concretely specifying the course of future research for the operational factor were tremendously meaningful. Makimura himself, being a PhD scholar, had his own dreams of fame as a result of his academic research, and his recent paper was written in part to further that goal. He was quite certain that the research paper he had received–with its immense potential for future practical applications–was fully deserving of a Nobel Prize. And yet, the author of this paper that would shock the world was not Makimura himself, but rather “Yoshikawa”. Suddenly, the cellphone in his white research coat began to play a cute little melody. When his wife Sanae asked, “When are you coming home tonight?” he glanced out the small window of his research lab, only to find it was already very dark outside. His clock confirmed it was after 7pm. “Well…I’ll start finishing things up now and leave soon, so maybe around 30 more minutes,” he said and hung up. When he opened the door to his private office, of his five researchers only Saito, a second year masters student, had stayed behind in the graduate research lab and was staring at a computer screen. During the 15 minute walk home to his teaching accommodations near the college he was lost in thought, partially because he was so accustomed to the route. “Darling, you must be hungry. While you take a bath, I’ll get your soup warmed up,” his wife Sanae said as she began making preparations for dinner. “Yeah, I played with my friends a lot today and I am really sleepy. Goodnight Daddy,” his daughter said as she entered the bedroom with Sanae. Makimura mulled it over for some time, but finally decided to tell what happened today to Sanae. She had worked as an editor for a publishing company until they got married 5 years ago, and as a result she knew more about the world than he did. Makimura broached the topic of the research paper he had received today to his wife once she had returned 15 minutes later after having put Mai to bed. As Sanae spoke about the paper she became increasingly excited. “If the research paper is really that great, sooner or later it will have to be published. But, the big question is in what form. Of course, that will require Yoshikawa’s permission, and since his research results are already presented in a well-organized format, I think you should show the paper to Mr. Yamato and get his opinion. But, before that I think you should get Yoshikawa’s permission first. In any case, this is a great opportunity for you! “Yeah, I guess the content itself is deserving of that, but whether things actually go that far is up in the air. Either way, it will take quite a while. But I think this will probably be one of the most important scientific discoveries of the last 100 years. Even in my wildest dreams I never imagined I would be directly participating in this level of research. If his theory is true, eventually all of humanity’s energy problems will be solved. “Yeah, I do. When writing my research paper, my original intention was to describe the structure of atoms in terms of subatomic particles and to demonstrate that nuclear fusion is possible under certain conditions without requiring a plasma state. But the paper I received not only clarified those conditions from a theoretical point of view, it went as far as specifying the operating conditions for the process. “But just by reading that paper, understanding the process to create an actual system is no simple matter. Professor Susumu Yamato was the head of the department of physics and an internationally known scholar. A person of liberal tendencies, he had written proficiently outside of his primary field of expertise and had deep connections within the community. Makimura was Professor Dr. Yamato’s beloved student, and had also acted as a matchmaker to get Makimura together with Sanae. Later that night, still excited from the day’s events, Makimura and Sanae laid together in bed as man and wife until they were exhausted, and then fell into a deep sleep. The next day, five minutes before noon Makimura tried to stay calm as he walked towards the statue on the side of the college library. Around the statue was a small, empty area without many people around, and it was there that he caught sight of a person standing in wait who appeared to be of short stature. As he approached, it became very clear the person was in fact very short, with short pants that made him look like an elementary school boy. For some time neither of them said anything. Makimura looked down and was about to break the silence, but the boy started speaking once more, pausing frequently as he stopped to think. “I… guess you could say I am an abnormal person, or abnormal boy? What you would call a genius. By the time I was three… I could read and write proficiently, and I’ve also become fluent in English reading, writing, and even listening comprehension. I didn’t think there was much purpose to learn other languages besides English so I haven’t tried to. My parents both work, so I’m what you call a latch-key kid,” the young Junpei said, eyes downcast. “Until this spring, my grandmother had taken care of me. But she fell ill, and two months ago died of cancer…medical science isn’t in my field of expertise and I couldn’t save her. Oh, and I don’t think my parents have really realized I’m special. But when I asked them for a computer they bought me one, and even connected the internet. To a certain extent my grandmother had helped me out with my studies, but for the most part I just learned from books in the library and online. However, there isn’t too many technical books in the library, and there is a limit to what can be found on the net, so eventually I came up against a brick wall. “It’s truly amazing. Groundbreaking! It’s easily Nobel Prize material! I think my own paper is still incomplete and far from a state where I can present it at any conferences. But yours is already sufficiently complete and can be presented at a conference without any further changes. Junpei answered Makimura’s question with his eyes downcast. “Honestly, my classes are totally unbearable. I always finish reading the textbooks in the first three days of the school year, and I already know everything that’s in them. There are no topics I can converse with my classmates about either. Because of all this, I skip classes pretty often. After that, Makimura got a lot of information from Junpei including some more details about his personal life, and about an hour later they parted ways. Thanks for the chapter, hope to see more! I like the story so far and it looks promising. About the translation, I think it looks good? I can’t read japanese(I’m almost like a 5 year old in regard of japanese), but the writing is quite good IMO, keep up the good work! About the novel I’m liking it very much! There are not much novels that have a SF theme out there, I’m hoping that you keep translating it. This novel makes me excited from the fact that it’s a sci-fi novel. A realistic one. No nonsense like you said. I’m looking forward to more chapters in the future. Thanks much for the comments. Even with a good amount of proofreading I missed the first one, which I just corrected now. For the second one, I am not sure if mine is necessarily wrong, but as yours does sound more natural I have changed it to use “Even” as you suggest. I really like this idea for the novel. I’m really looking forward to getting to read more chapters. Wow I really like these types of concepts so thanks for picking this up! Sure, glad you are enjoying!